The National Insulation Association (NIA) has welcomed today’s announcement from Scotland’s First Minister Nicola Sturgeon of funding of £54.5 million, to help tackle fuel poverty and reduce greenhouse gas emissions and the Route Map to an Energy Efficient Scotland which outlines action to ensure that by 2040, all homes are improved so they achieve an Energy Performance Certificate (EPC) rating of at least Band C.
The First Minister said*: “The Scottish Government’s energy efficiency programme will help ensure all our buildings are warmer, greener and more energy efficient. Insulation not only tackles fuel poverty and climate change but delivers long-term, sustainable savings on energy bills, create jobs, reduces NHS costs and helps regenerate communities. The National Insulation Association (NIA) have welcomed the news from the Labour Party this morning announcing plans to spend £2.3bn per year insulating 4 million homes in the next Parliament if it gets into power. Neil Marshall, NIA CEO, commented; "We welcome these ambitious plans and our members stand ready to deliver. 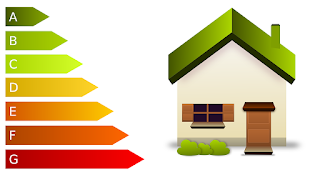 With over 5 million homes lacking cavity wall insulation, over 7 million homes having inadequate levels of loft insulation and over 7 million solid wall homes in need of insulating there needs to be a huge increase in funding and activity to reduce fuel bills and combat fuel poverty. Home insulation is the most effective way of delivering long-term, sustainable savings on fuel bills and in addition a funded national insulation programme could reduce carbon emissions, reduce NHS costs, create inward investment and jobs and regenerate communities.